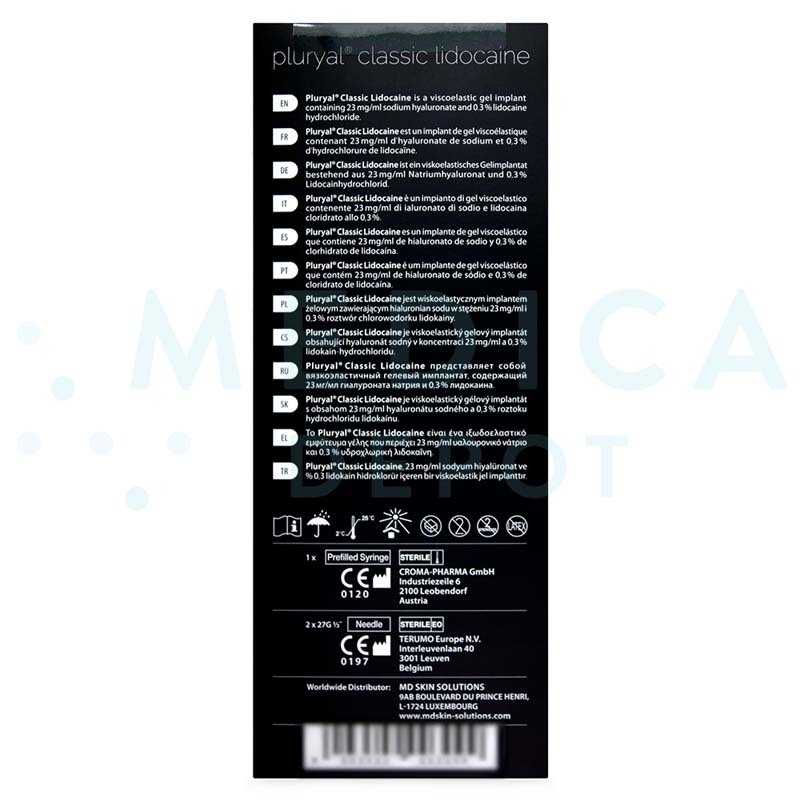 Product Name: PLURYAL® CLASSIC with Lidocaine. Active composition: Sodium hyaluronate 23 mg/ml and lidocaine hydrochloride 0.3%. Volume and packaging: One pre-filled 1.0 ml syringe. Accessory: Contains two 27G x 1/2” TW (0.4 x 12 mm) needles, two traceability labels, packaging insert. What is Pluryal Classic with Lidocaine? 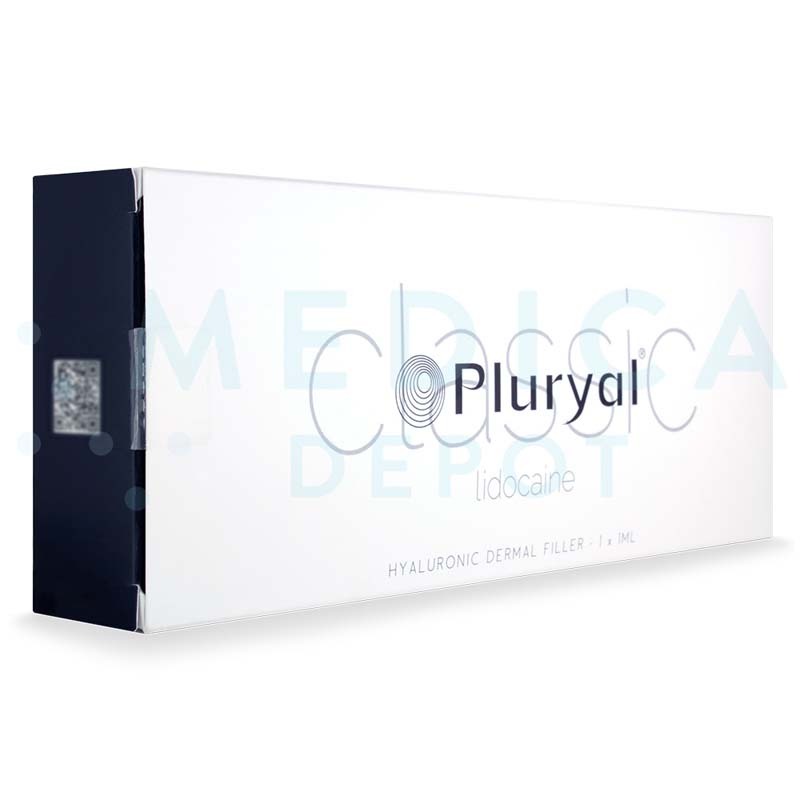 Pluryal Classic with Lidocaine is a dermal filler made with hyaluronic acid and lidocaine. Doctors inject this filler to smooth the look of moderate wrinkles and for lip enhancement. The ergonomically-designed syringe improves doctor comfort during treatment while the highly-elastic gel provides smooth, natural-looking results for the patient. 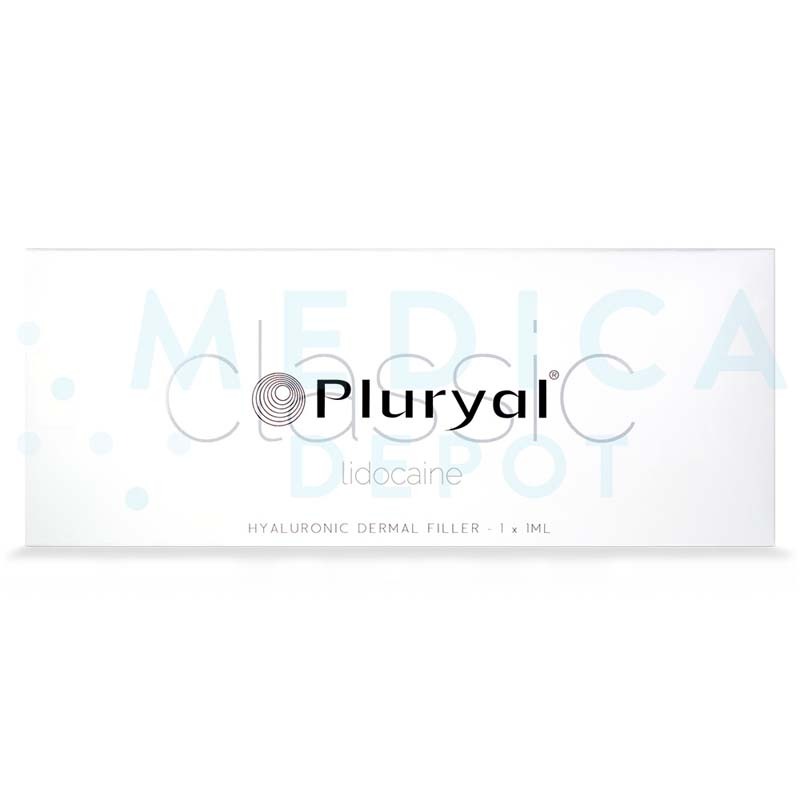 You may be able to buy this filler from your local distributor, but you can also buy Pluryal Classic with Lidocaine online from Medica Depot. Enjoy the convenience of purchasing this and other cosmetic products online while benefitting from low, wholesale prices when you buy 1 or 100 at a time. Buy this and other genuine brand-name dermal fillers online, by phone, or by fax. In 1 package, you will receive 1 prefilled syringe of hyaluronic acid gel, 2-27G1/2" needles, traceability labels, and 1 product leaflet. Genuine, brand-name filler from MD Skin Solutions, a trusted European manufacturer. Maximum gel elasticity for smooth, natural-looking results. Lasts 6 to 9 months. How does Pluryal Classic work? This injectable gel is made of highly-elastic, monophasic, cross-linked hyaluronic acid. This monophasic and elastic formula creates a smooth gel that can adapt to movement better for natural-looking results. Once you inject the hyaluronic acid into your patient's skin, the particles hold onto moisture, restoring hydration and volume to skin. This added volume helps support the skin, smoothing the look of moderate facial wrinkles or plumping the look of lips. The lidocaine in this dermal filler's formula acts as an anesthetic during treatment, reducing sensations of pain for a more comfortable treatment. What are the ingredients in Pluryal Classic? This dermal filler contains sodium hyaluronate in a concentration of 23mg/ml along with lidocaine for treatment comfort. What is the difference between Pluryal Classic and other Pluryal products? This manufacturer offers other dermal fillers, including Booster to hydrate and smooth fine lines and Volume to treat deep wrinkles and restore facial volume. Some fillers are available with or without lidocaine anesthetic. Although Classic and other fillers are meant to add volume, Pluryal also has Meso I and Meso II products with hyaluronic acid and amino acids to hydrate and rejuvenate skin without adding volume. Inject this hyaluronic acid gel into the mid to deep dermis using a 27G needle, following proper aseptic techniques. Do not overcorrect. If desired, massage the treated area after the injection to ensure even distribution. Detailed use instructions can be found in the product pamphlet. This treatment involves 2 or more low-volume injection sessions to achieve the desired results. The results last about 6 to 9 months, so your patients should repeat their treatments about twice a year to maintain results. The results of a treatment can last up to about 6 to 9 months; however, the duration can be affected by the severity of the concern being treated and other factors. You can use this hyaluronic acid filler to correct nasolabial folds, marionette lines, glabellar lines, and other facial wrinkles and cutaneous fractures. You can also use the filler to contour and remodel lips. Who is an ideal candidate for Pluryal Classic treatments? The ideal candidate for these treatments is a patient who is experiencing moderate signs of aging, such as wrinkles, or who wants to add plumpness and contour to their lips. The injections can add or restore moderate volume for a youthful, sculpted appearance. Why should I purchase Pluryal Classic? Purchase this dermal filler to help your patients restore their skin to a more youthful appearance. Pluryal Classic is made by an established manufacturer, so you and your patients know you can count on this injectable to provide quality results. With lidocaine in its formula, this filler is not only more comfortable for your patients to experience, but it saves you the time and hassle of mixing in your own anesthetic. 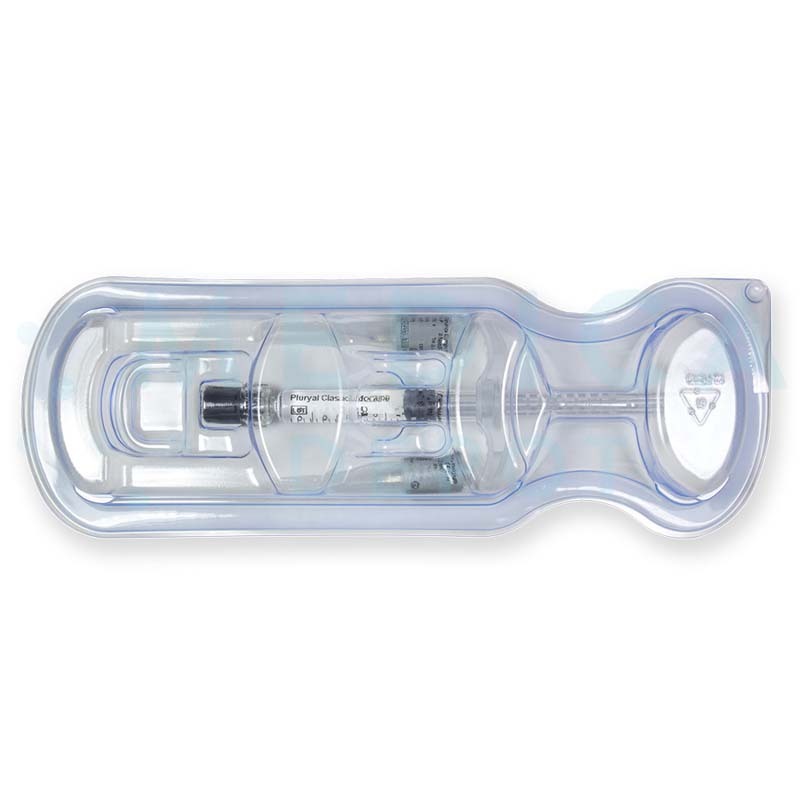 Plus, the ergonomic syringe design helps make treatments more comfortable for you as you administer the injections. 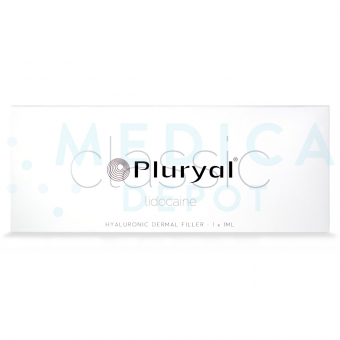 Most of all, by purchasing Pluryal Classic with Lidocaine from Medica Depot, you save money with low wholesale prices. What are Pluryal Classic's side effects? Side effects usually resolve within 48 hours, although this may take longer after lip injections. These may not be all the possible side effects.